Check out our event page here on the event, I'm hoping for an even better turnout for 2017! We found Tim Wittwer on the plugshare app, invited him to join and here we are. He has gone all-in on electric vehicles, telling us he has: 1) 2015 Model S 85D - Perl White (may trade-in), 2) 2017 Model S 90D - Perl White (in production) and 3) Model 3 (reservation). Make him welcome! Our latest club member is Joe Pahk, he owns a 2016 Tesla Model X 75D midnight silver. Make him welcome when you see him! 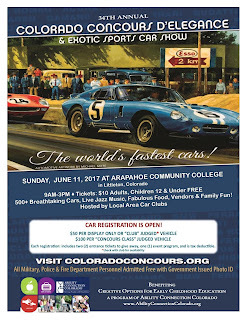 Our first event notice for 2017! Wanted to let you know that we’ll be undertaking our Conservation Open House again this year on June 3rd 10-2pm. You all were a great asset to the event and our customers with valuable information on alternative fuels and transportation options. 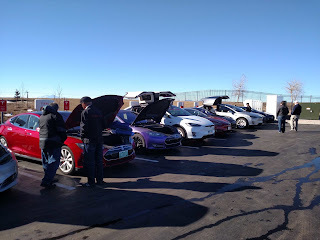 Hopefully with more EVs now on the market, we will have even more variety to show. We have several new members this month! First, L.D. Allan just bought a Nissan Leaf in December 2016. 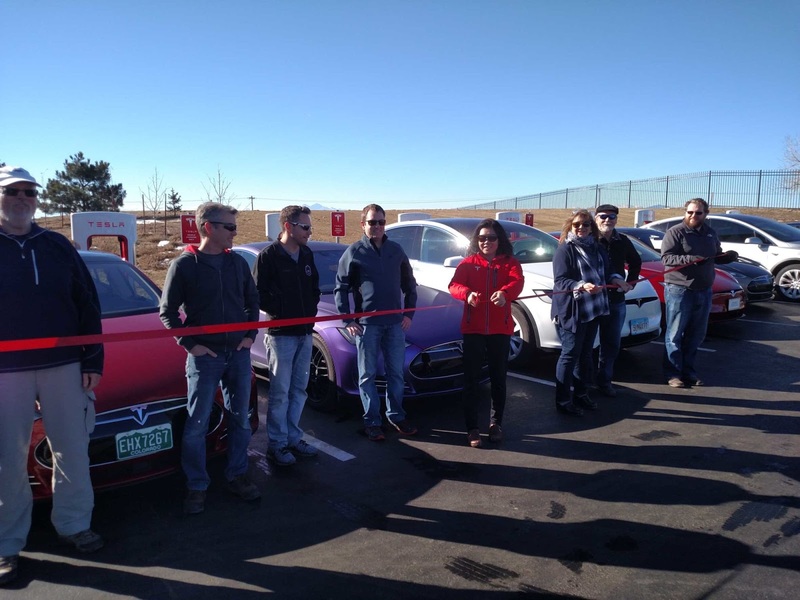 He (Lynn) previously had a Prius and made the switch to an all-electric only a few weeks ago. He already knows a few of our club members, so make him welcome when you see him. Lynn and his wife, Candace, live north in Colorado Springs. Andrew & Marissa Streby joined us in January as well, and have a brand-spankin' new 2016 Tesla Model S60D, red. They live in the Peyton/Falcon area, so we hope to see them at our next meeting/event! Thanks to Dan Rosenblatt for the story! This is a limited-access article, you must subscribe to the Wall Street Journal to read it. You are correct, on the Tesla Supercharger Website https://www.tesla.com/supercharger under "How it Works" and "Engineered for performance"; it states, "Tesla is the only EV manufacturer capable of charging vehicles at up to 120 kW, (375 Volts x 320 Amps = 120 kW) which equates to about 170 miles of range in as little as 30 minutes." The battery voltage for both the "S" and "X" is 375 Volts and that's what the Superchargers are built for. Since the Charge Point can go up to 400 kW (1000 Volts x 400 Amps = 400 kW) its only because they have the capability of going up to 1000 Volts. This may be for future vehicles like trucks or hybrid RV's. To confuse you even further, the 240V AC (single phase) is referring to the charger input voltage, the charger is actually in your car, which has an output of 375V DC to charge the battery pack. The device in your garage is not really a charger but rather a means of applying the AC to the car's charger. The Supercharger has an input voltage of 480V AC (three phase). It then produces an output of 375V DC that connects to the car and goes direct to the battery pack bypassing the smaller charger in the car. The Chademo and CCS Combo kW outputs are dependent on their max output voltage and current. The battery voltage of other EV's range between 200 & 400 volts and would also be in the ball park of 120 kW. If there was sufficient interest in this area I would be happy to give a presentation (dry-white board with simple block diagrams) to expand on all this. 40-amp (at the plug) home charging is 10kW. 80-amp (at the plug) home charging is 20kW. 40-amp and 80-amp take into account the 80% rule for electrical circuits, meaning a 40-amp charger uses a 50-amp breaker in your panel (and a 100-amp breaker for the 80-amp). The commercial charger mentioned in a previous post was lots more than those. 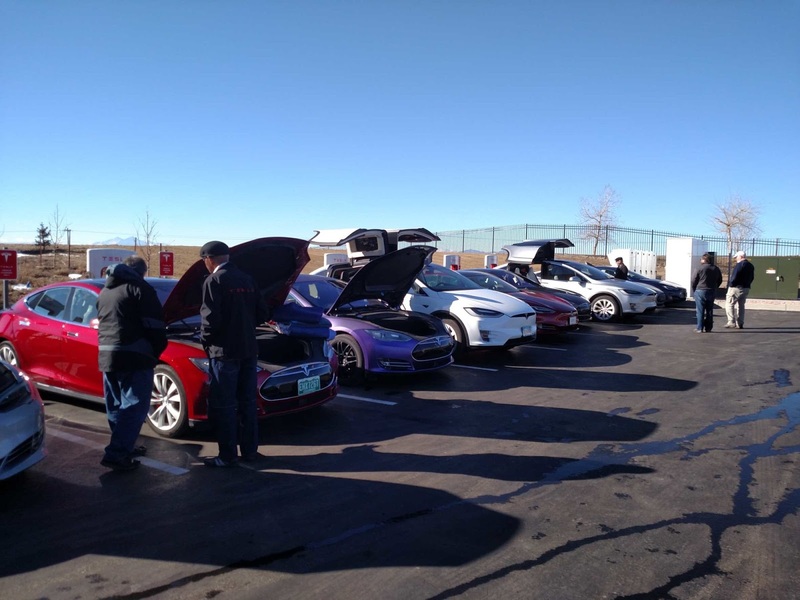 Tesla Supercharging (I thought I heard 120kW), Chademo and CCS Combo charging? Chargepoint has announced new chargers for DC Fast Charging. Great idea! Can some of our electrically aware members tell us if this unit charges faster than a 220v/80a home charger? It's rated at 31.25kW per module, with both modules producing 62.5kW. It appears both cables can be used simultaneously. The unit is DC, whereas home chargers are AC. The Express 250 is the Station by itself with two modules at 31.25kW each. It can distribute the total 62.5kW output power to the two output cables according to the demand on each cable. The Express Plus System can be a combination of Stations, Cubes and Modules (contained in Cubes) to customize a DC Fast Charging Facility with varying output capability up to a max of 400kW. The modules and cables are liquid cooled with an available high altitude option for elevations over 6500 feet (probably a different coolant). The AC input voltage for the modules is 480 Volts, 3 Phase, which is only available at commercial locations. To answer your question, "Can they charge faster than your home 220V 80A charger?" The answer is yes. Your home charger mentioned has the maximum capability of 17.6kW, where the minimum output of the Express 250 is almost twice that output. For clarification, your 220V AC home charger is a Level 2, which actually uses the charger built into your car. The DC Fast Charger is a Level 3 which bypasses the charger in the car and directs the DC from the fast charger direct to the batteries. Communications between car and the Level 3 charger determines the output voltage needed (between 200 and 1000 Volts DC) depending on the cars battery voltage. Our latest member is Richard Nuth. Richard has a Tesla X 90D, red (on order, should arrive sometime in February or early March) and a Model 3 reservation. He lives in Monument (Woodmoor), CO. Please make him welcome when you meet him! Underwriters' Laboratories is now setting safety standards for used EV batteries. See the article https://chargedevs.com/newswire/ul-developing-safety-standard-for-second-life-ev-batteries/ for more information. Move over Tesla, Faraday Future is here! I thought Faraday Future was dead/bankrupt. They just showed a prototype sedan with better specs than a Tesla Model P100DL. Here's to competition! 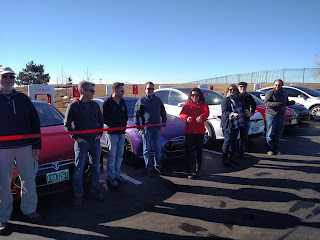 Several of our members made it to the Loveland, CO Supercharger and had a ribbon cutting on New Year's weekend. The photos are below. Was coming back from that afterwards and decided to take a detour to do some grocery shopping. While waiting to turn left in the left turn lane, another car was driving towards us and drifted and plowed into the front driver side, instantly deploying the airbags for driver and passenger. it was a mess and the acrid smell from the airbags being deployed will stay with me for a long time. Fortunately, we are OK as is the other people in the other car. However, it had to be towed. I am still so angry at the senselessness of the whole thing and am grieving for my beloved Tesla. We were fortunate that @MorrisonHiker and @DÆrik were in the area and were able to give us a lift home. Thanks, you guys are great people! It's never a good time to have an accident and the senselessness of it is hard to take but it's NYE and nothing will be open until Tuesday, probably. It's a celebratory mood killer, too. I know several people have posted about their accidents and differences in location can also contribute but I'm wondering if anyone has guesses on how long it'll take for this to get fixed (providing they don't total). I'll be driving a rental ICE in the meantime and hating every moment, I'm sure. We'll definitely be making sure they pay for diminished value but not sure there's much more I can do with this to alleviate the hassle.